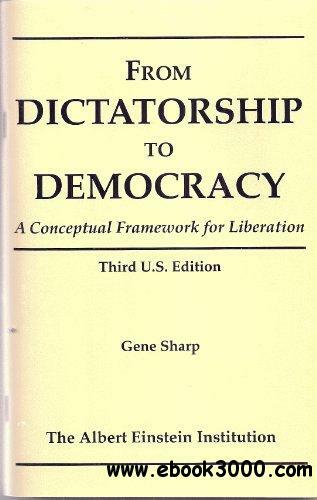 From dictatorship to democracy: A conceptual framework for liberation, 4th edition - eazydoc.com | Free eBooks Download - EBOOKEE! ReviewWorld Changing By freebird in Paradise This book is a great work in its own right. In terms of real-world impact, it measures above Thomas Paine's writings, having been used by non-violent movements in dictatorships around the world. No comments for "From dictatorship to democracy: A conceptual framework for liberation, 4th edition - eazydoc.com".